Nevada legalized medical marijuana in 2000, and in 2016, became one of eight states (not including the District of Columbia) that has legalized recreational marijuana. In the time leading up to Nevada’s 2016 ballot initiative to legalize recreational marijuana, one major concern loomed: marijuana remains illegal under federal law. Nevada law makers, cannabis users, and marijuana related businesses all worried what would happen if Nevada legalized recreational marijuana while the federal government continued to classify marijuana as a dangerous drug at the highest level of the drug schedules. All those concerned breathed a collective sigh of relief in 2013 when the United States Department of Justice stipulated that the federal government would not stand in the way of states that legalize marijuana so long as officials acted to keep it from migrating to places where it remained outlawed, and out of the hands of criminal gangs and children. Essentially, the Justice Department deferred to the states. So long as the states maintained strict regulations, the Justice Department was not going to spend time and money preventing adults from possessing or consuming marijuana. Now, all of this could be changing. Earlier this month, U.S. Attorney General Jeff Sessions announced that he was resending the 2013 policy, and instead, instructed U.S. attorneys in every state, including Nevada, to return to using previously established prosecutorial principals in order to combat what Sessions calls a growing drug crisis. Sessions has previously said that he is not a fan of the expanded use of marijuana, and he has said that marijuana is comparable to heroin and blamed it for spikes in violence. Thus, Session’s repeal of the Justice Department’s relaxed enforcement efforts is not surprising, though it does raise many questions for states like Nevada where marijuana has been legalized. This policy reversal could have big effects not only on Nevada’s growing marijuana industry, but also on other states who are seeking to legalize marijuana. This policy change could return us to a time when marijuana businesses that are deemed legal at the state level were often raided by federal law enforcement. This undoubtedly will cause more uncertainty in an industry that is expected to grow by tens of billions of dollars in the next decade. Despite the potential for major change, there may still be hope for legalized marijuana here in Nevada. Sessions’ policy will let U.S. attorneys across the country decide what kinds of federal resources to devote to marijuana enforcement based on what they see as priorities in their district. Thus, federal prosecutors here in Nevada may not see marijuana as a top enforcement priority. But, even if federal prosecutors choose not to return to the days of old, the increased threat of federal prosecution certainly gives reason for concern in the days ahead. Contact The Wright Law Group, P.C. 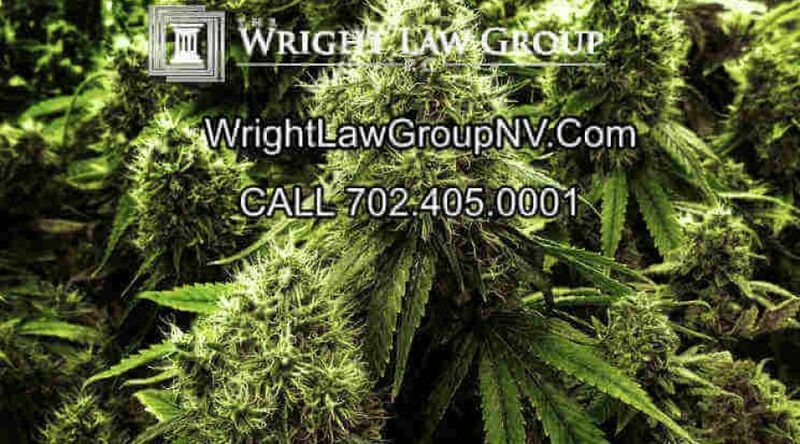 If you or someone you know are facing drug charges here in Nevada, let the attorneys at The Wright Law Group, P.C. help you. We make it a point to stay up to date on the latest changes in to both state and federal drug laws. With more than 25 years of legal experience, the attorneys at the Wright Law Group are well equipped to assist you. Please call us at (702) 405-0001. Our consultations are always free and confidential.